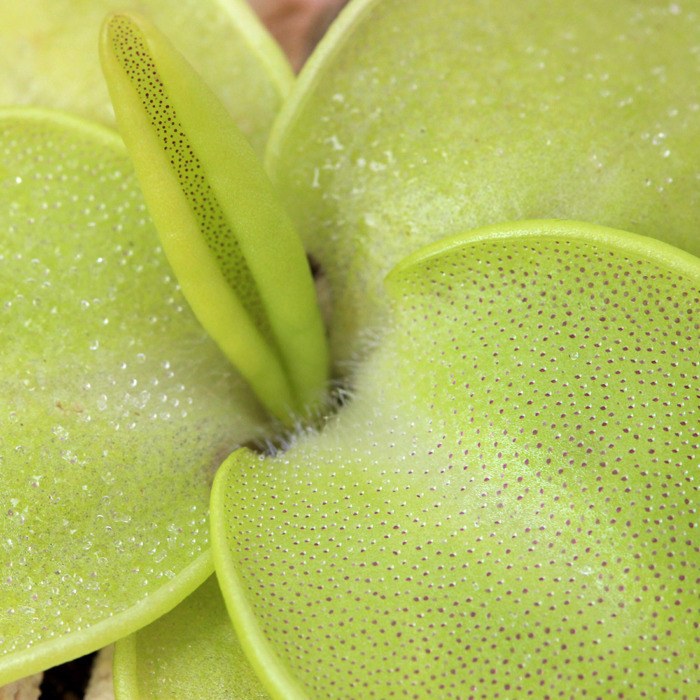 Pinguicula macrophylla is a rather unusual species of butterwort native to Guanajuato, Mexico. 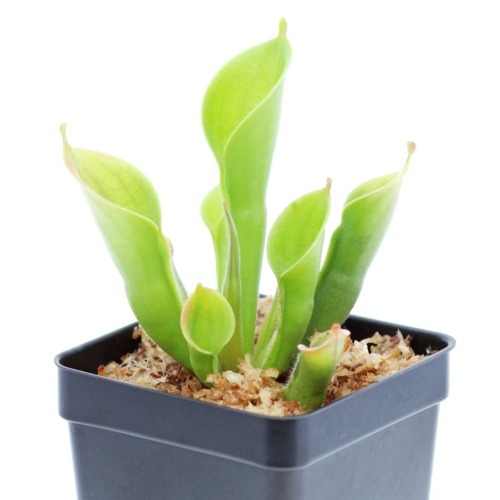 It produces large oval carnivorous leaves at the end of long stalks (petioles) in the summer and during winter, grows a bulb-like bud of dormant leaves. 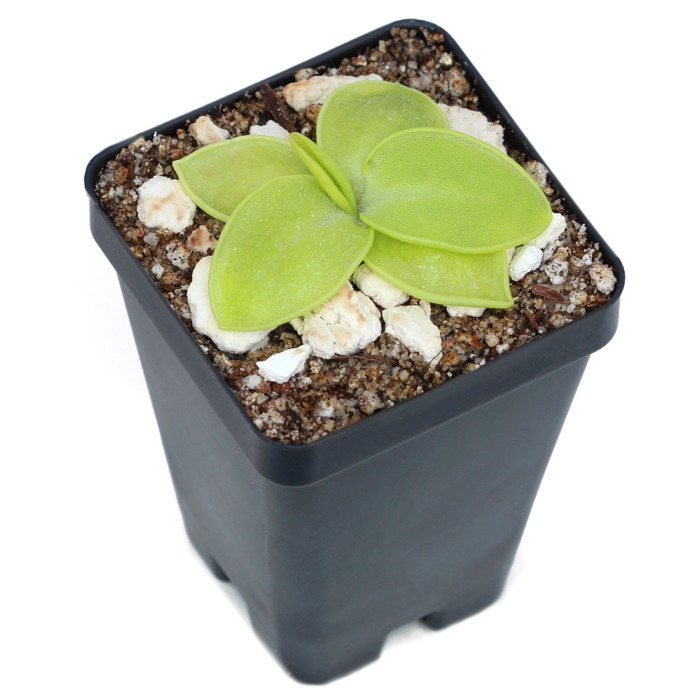 Pinguicula macrophylla prefers a well draining mineral-based substrate and partially shaded conditions. 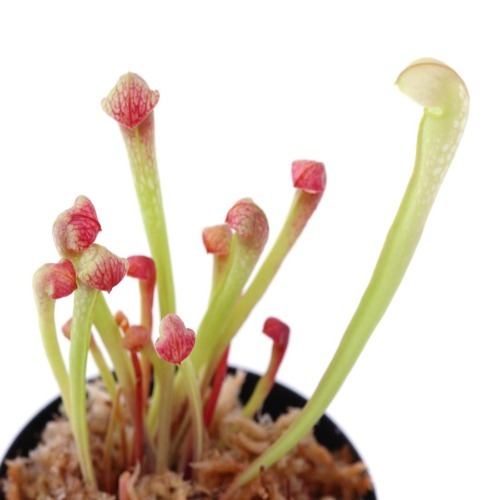 Size and packing method: You will receive a bare root plant in its carnivorous state about 1 and 1/2 inches across or a plant in its dormant state about 1/2 of an inch across. 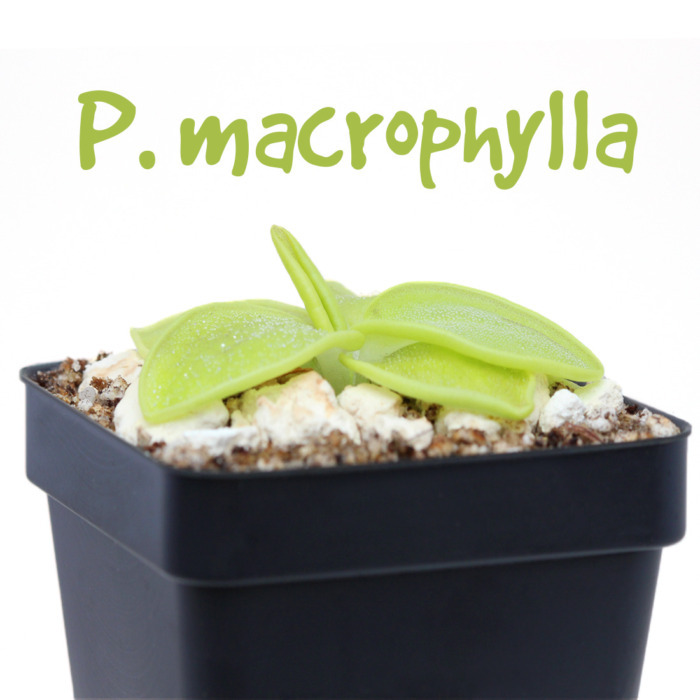 The plant will be carefully wrapped in a damp paper towel.